Similar to the classic WWII-era U.S. "jeep shovel," only here intended for Chinese military utility vehicles such as the BJ212. Stow in your trunk or behind your seat for a quick response when emergency strikes. Great for camping, too. 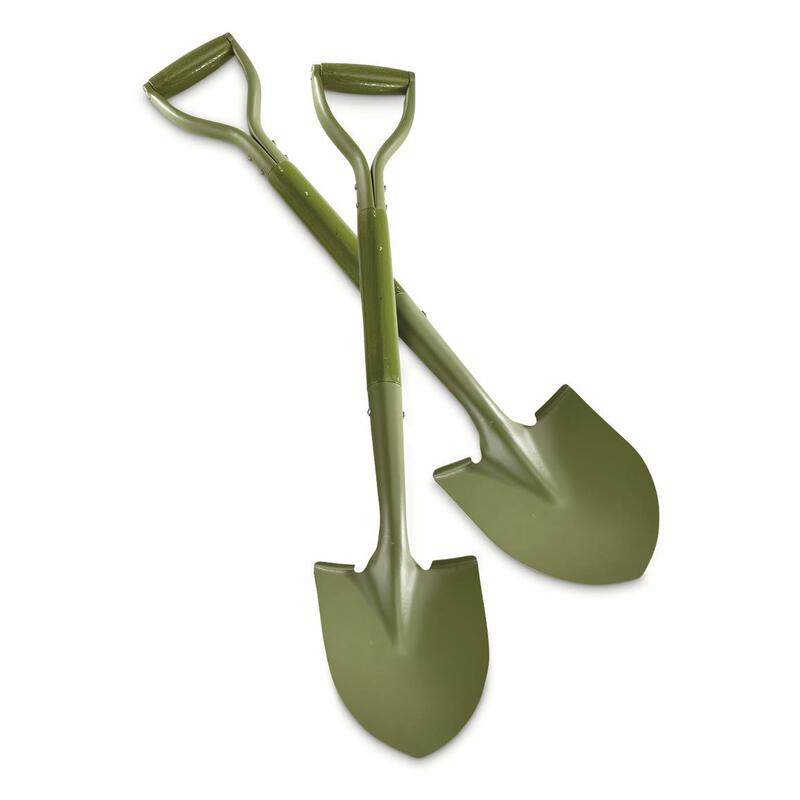 Chinese Military Surplus Jeep Shovels, 2 Pack, Like New is rated 4.5 out of 5 by 4. Rated 5 out of 5 by Dogman9 from Great price Shovel fits well in back of Jeep.the D handle is comfortable to use. 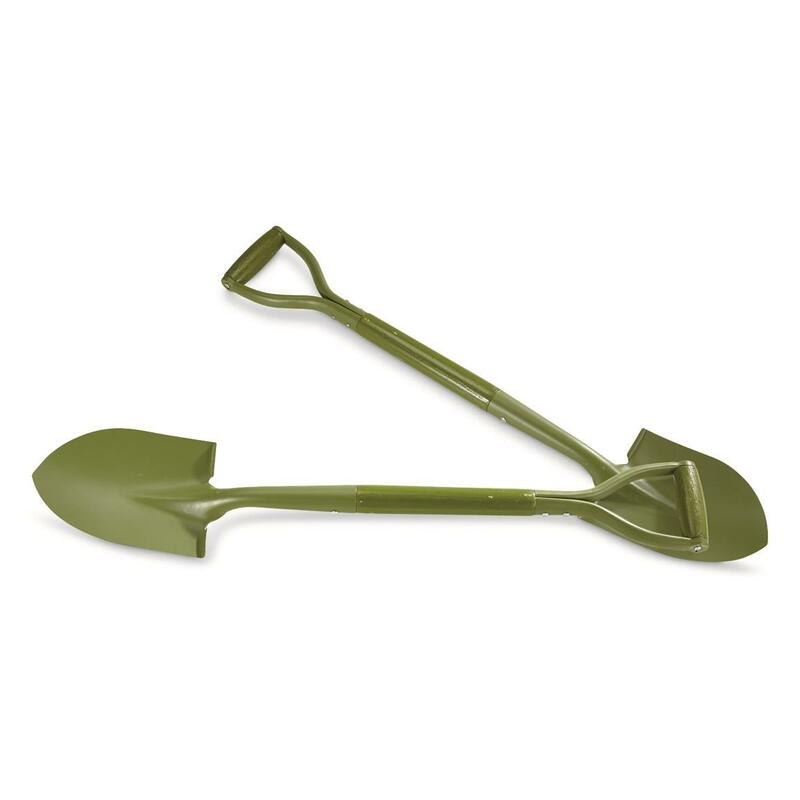 Rated 4 out of 5 by Santafe66 from Good quality and compact shovels. Bought these to keep one in the pickup and one in the shed for garden use. They are better quality than expected and will last a long time I'm sure. Rated 5 out of 5 by BobH from Great fit for a Jeep Small but solid, both shovels are exactly as described. In great condition and fit perfect on the side of a Jeep (I secured them with 2 QuickFists), or the hood.Yes, its smaller than the average shovel, but bigger than the folding shovel I used to carry and much more usefull than the full-sized shovel left at home. Rated 4 out of 5 by Woody from Small but solid As a Jeep owner and driver, I was attracted by the word "Jeep" in the product description. I've been looking for an affordable, short-handle shovel with a real wood and metal handle instead of the cheap plastic handles I see at Home Depot. These shovels are well made and appear durable. They are smaller than a standard American garden spade -- these are actually about the size of a small garden spade my grandmother had. The small size is actually an advantage when packing along in a Jeep for an off-road trail ride.